Akai LPD8 laptop pad controller is compact, versatile and perfect for DJ's and producers on the road. Measuring less than 13 inches across and weighing less than a pound, the Akai LPD-8 easily fits into any backpack or messenger bag for extreme portability. The Akai LP range of keyboards, pads and controllers is already proving to be a massive hit with music creators across the world. LPD8 is based on Akai Professional's MPC range of music production stations for producers who love the feel of the MPC and want to work with software on their computer. They will find that the LPD8 gives their laptop the controls they prefer over a mouse and keyboard. Akai LPD8 features 8 illuminated pads that are velocity sensitive for programming rhythmic or melodic parts. The LPD8 pads can also send program-change information to software. 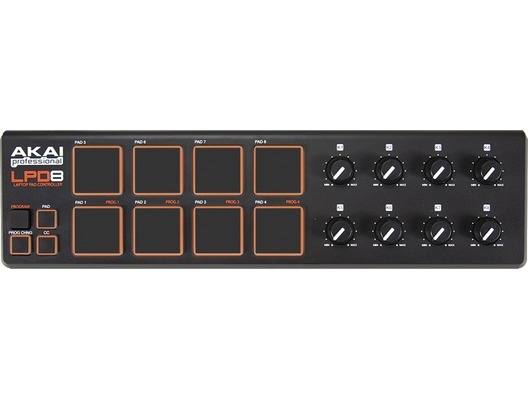 Additionally, the Akai LPD8 has eight assignable Q-Link knobs you can assign to virtually any parameters in their software for hands-on control. LPD8 works plug and play with Mac and PC and requires no software driver installation or mains power for operation. It has four memory banks for programming and recalling settings appropriate to different software programs you use. Here we have the Akai LPD8 Laptop Pad Controller in brand new condition and in B-Stock. The B-Stock versions would have been on display at a training evening or trade exhibition only and will come boxed 'as new' with all accessories and a 1-year warranty. 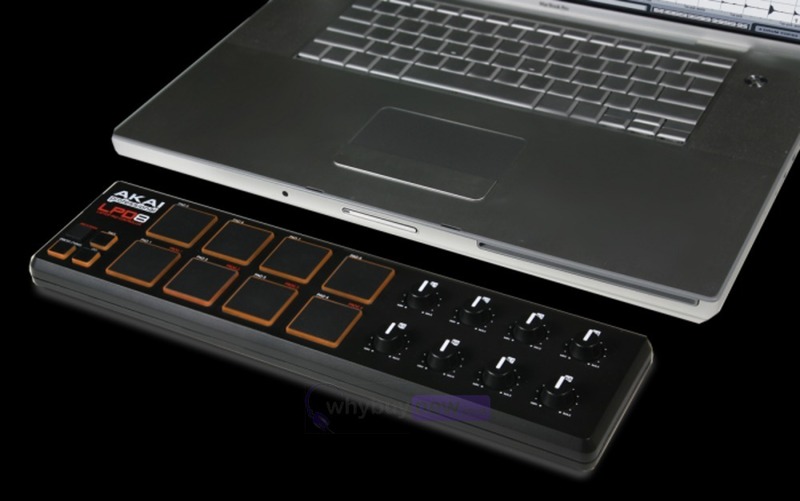 Buy this amazing Akai LPD8 Laptop Pad Controller with confidence with 100% satisfaction guaranteed or your money back. Bought it here for the lowest price I could find in a good quality. Grade B was deserved, as it was like new, as it should. Completely functional unit, no scrapes or marks. Using it to control VoiceMeter Banana and it is brilliant, completely plug and play behaviour (meaning no drivers, VMB detected it as soon as I connected it - VMB needs training to assign controls which is no great hassle). brilliant for adding some extra spice to your live sets. wicked for controlling serato samples.